We offer three primary services to publishers: direct, efficient and reliable access to our member booksellers to promote your books, authors and programs; a member Handbook, to provide our stores with the information that they need to stay in contact with you and your sales force; and the fall show, which for many publishers is the main reason for dealing with us. In addition, we also offer the annual Book Awards, which feature a maximum of six books, chosen by a select Committee of independent booksellers, announced in early January each year, to highlight and promote the best books published in the previous year by authors who live in the Northwest. 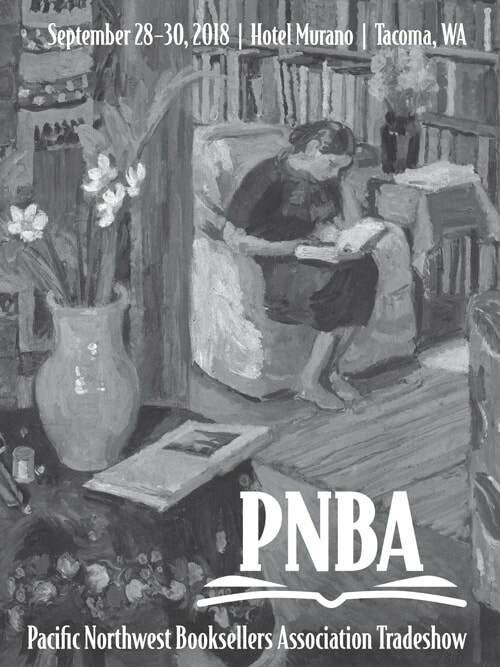 PNBA depends on your reps to keep us up to date on what's happening with each publisher, and we are constantly updating the info in our Handbook to reflect any changes that may be of importance to the retail booksellers. We offer to help your Publicity staff promote new books with both industry access via our monthly email newsletter, Footnotes, and with public access via our online magazine, Northwest Book Lovers. We also provide what we consider the best Holiday Catalog in the business as a terrific means for your Marketing staff to promote books most appropriate as gifts for people living in the Northwest. Finally, we offer your authors the best access to our booksellers via our annual fall show, which is held each year either in the greater Seattle area or the greater Portland area. The connections a new author can make at the shows will determine for many of them the extent and success of their first book's launch, and can set the stage for a long-term relationship with booksellers that can make future releases seem like a breeze. Many authors use the shows regularly as a way to meet key people from bookstores throughout the region, to arrange for store (and library) visits, and to re-connect in ways that can help make a potential bestselling author into a Northwest star. We urge you to contact PNBA any time that you have an author or book that may have serious potential in the Northwest market. Our Marketing Director will be happy to discuss with you the best kind of advertising and promotion for the specific author and title, based on our knowledge of which and how many of our store members might be most responsive to the new book. We invite all publicists and marketing directors to provide us with your contact info, so that we may add you to our database, which will provide you with regular information, via email, about the PNBA programs and activities that may be of use to you, whether or not you are a member of PNBA. For instance, you do not need to be a member of PNBA to receive announcements like our Call for Authors to the fall show; any publicist with the power to plan an author's appearances may work with us to feature an author at our shows.